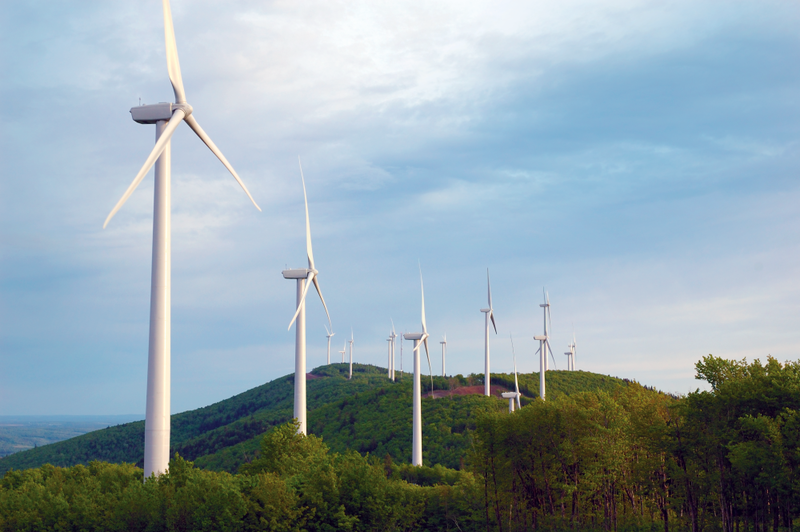 A Maine wildlife science research center is receiving $1.1 million dollars from the U.S. Department of Energy to help answer some of the unknowns about wind power development. Wind turbines at Mars Hill, Maine. director of Biodiversity Research Institute, a science center headquartered in Portland. The money, he says, will be used on a series of innovative cameras developed by an aerial survey team in the United Kingdom, which can be mounted on wind turbines. The stereoscopic lenses will capture in-depth, 3-D images, recording bird and bat behavior. Goodale says while it's known that the winged creatures generally do avoid turbines, why, or how soon, is less clear. Not understanding all the factors at play, he says, can make it difficult for wind companies to understand the potential impacts to wildlife when proposing a new development for a particular area. "It's really difficult to be able to predict what the risk will be, so this will help, and reduce that uncertainty by understanding how different kinds of birds and bats avoid the turbines." The project is a partnership between BRI, University of Maine, the UK based HiDef Aerial Surveying, and First Wind, which already has wind farms in several locations around Maine. Goodale says the DOE grant is part of a pool of federal money meant to support research which seeks to answer some of the questions, and identify some of the impediments to the country's fledgling wind industry. Goodale says he expects the cameras to start going up next spring.